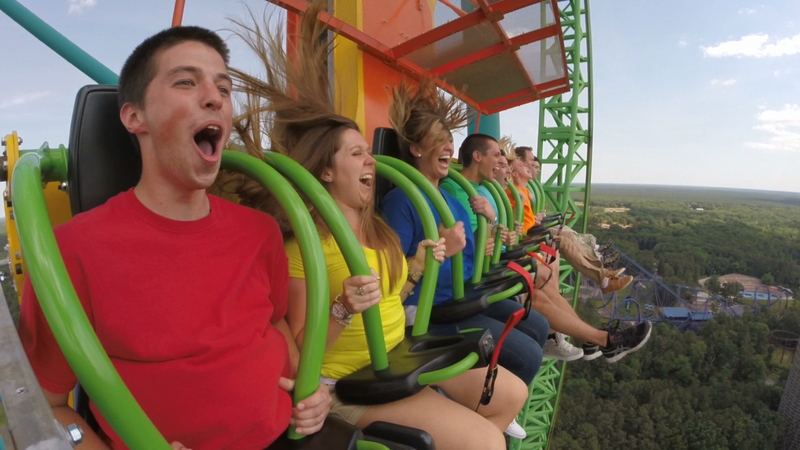 Six Flags Great Adventure unveiled this year’s most anticipated extreme ride, Zumanjaro: Drop of Doom – the world’s tallest and fastest drop ride, on July 4th, 2014. The launch commemorates the park’s opening weekend 40 years ago during the July 4th holiday. Zumanjaro: Drop of Doom stands a staggering 41 stories tall. 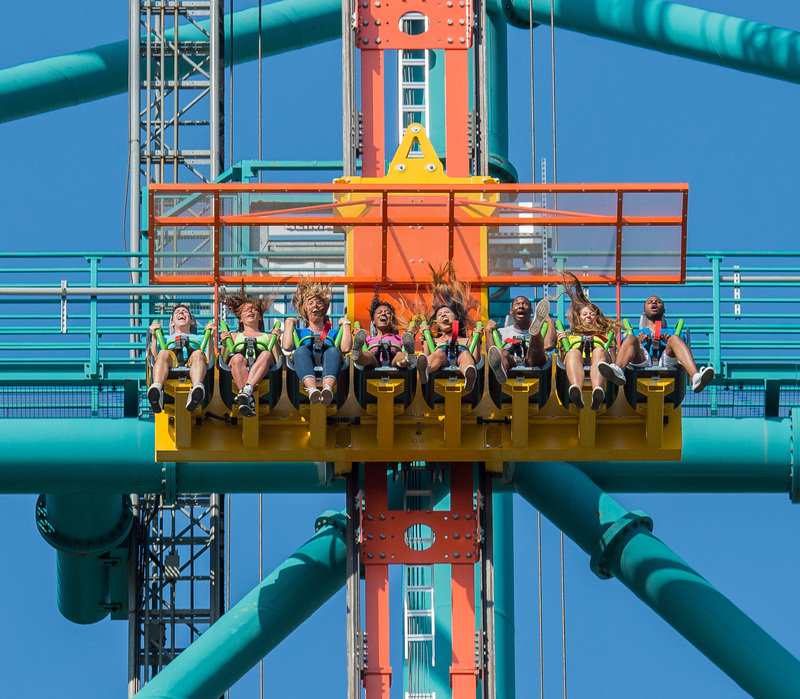 Connected to the iconic Kingda Ka roller coaster—the 45-story monster that ranks as the world’s tallest and fastest coaster—Zumanjaro hoists riders 415 feet into the sky and plummets them back to Earth at speeds of up to 90 miles per hour. Three soaring Zumanjaro towers stand on the face of the massive Kingda Ka coaster. Each drop tower features a gondola with eight riders. While anxious riders buckle into their floorless seats, Kingda Ka trains launch right toward them at speeds of up to 128 miles per hour. The trio of gondolas rises to the top of the tower in approximately 30 seconds. Riders pause for a few terrifying moments 41 stories in the air—even higher than London’s Big Ben and twice as tall as Lady Liberty—allowing them to catch a glimpse of the skyscrapers in Philadelphia 52 miles to the southwest before gravity plunges them back to ground level in less than 10 seconds. “Today strengthens the reputation of Six Flags as a trailblazer in providing innovative, cutting-edge entertainment for visitors of all ages, all while enhancing its legacy as one of the greatest theme park experiences anywhere in the world. We are thrilled that such an incredible venue is in New Jersey to provide unforgettable memories for so many visitors each and every year,” said New Jersey Lt. Governor Kim Guadagno. The name “Zumanjaro” was inspired by the African influences of Safari Off Road Adventure, the attraction that combined Six Flags Great Adventure and Safari into the world’s largest theme park in 2013. Safari Off Road Adventure takes guests on an exhilarating, interactive and up-close journey that features1,200 animals from six continents including elephants, rhinos, tigers, giraffes, lions, bison, kangaroos and more.